Whenever I happen to be at the Castlemaine Art Gallery, I always make a bee-line for one of my favourite works in their collection, a portrait of Queen Elizabeth the Queen Mother (1900-2002) by James Quinn (1869-1951). Fortunately for me, it is most frequently on display. James Quinn was a Melbourne-born and -educated painter, who travelled to Europe on a National Gallery Travelling Scholarship in 1894. From the early 1900s, Quinn settled in London, establishing a successful portrait practice. During the First World War, he executed a number of government commissions which are now at the Australian War Memorial in Canberra. The death of his son caused his return to Melbourne in 1935, where he lived until 1951, quietly passing away in a relative obscurity at the age of 81. 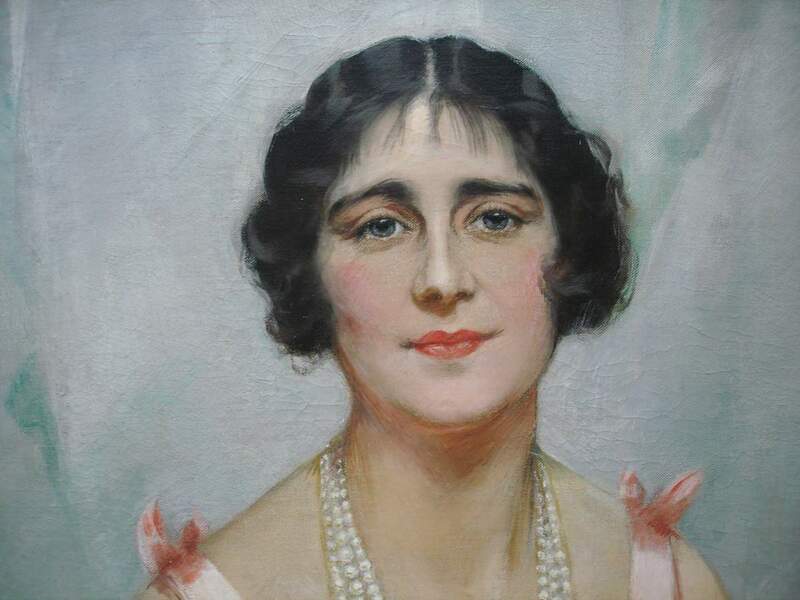 While the particulars of this portrait commission are unknown to me, the fact that Quinn painted it in 1931, when the Queen Mother was still Duchess of York, still some five years away from the Abdication Crisis and her husband’s (George VI) unexpected succession to the Throne, shows that the artist’s reputation as a professional portrait painter was established enough to attract the notice of royalty. 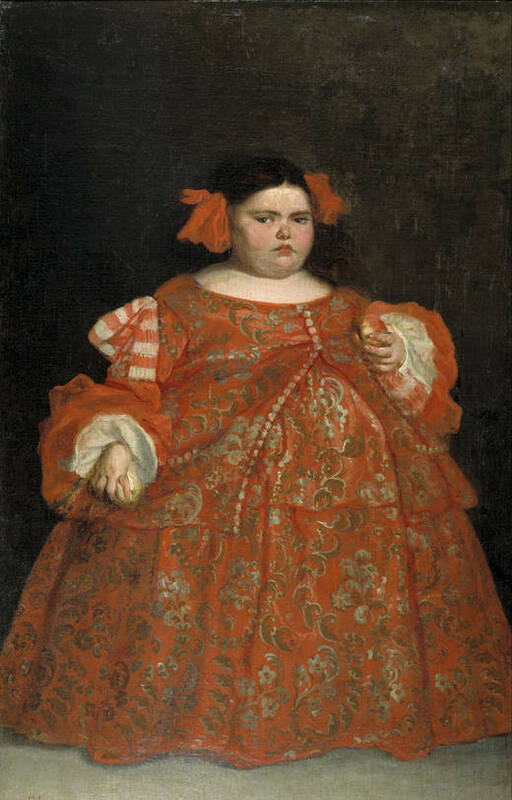 Quinn portrayed the Duchess of York seated and facing directly the viewer. Her likeness is captured most successfully: her identity is instantly recognisable not only from contemporary photographs but also from portraits by contemporary artists such as Philip de Laszlo (1869-1957) (as well as her most recent portrayal by Helena Bonham Carter in The King’s Speech). 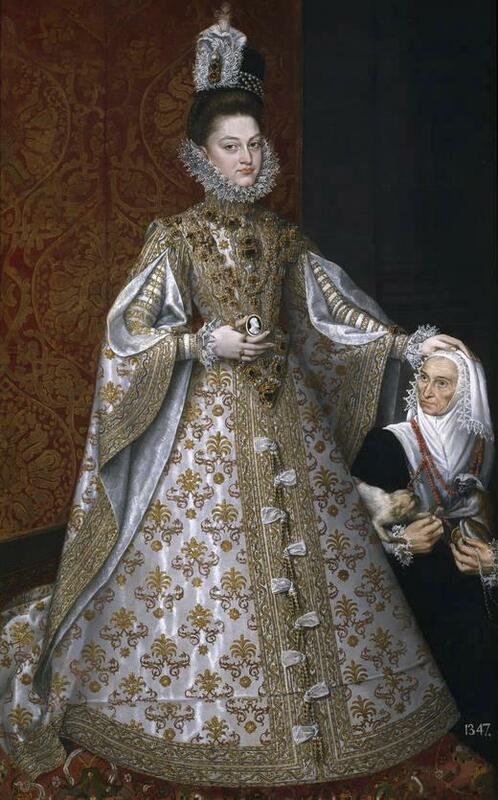 The ‘celebrity’ status of the Duchess of York allowed the artist to eschew encumbering this portrait with visible signifiers of royalty, such as heirloom regalia and crown jewellery; or placing the sitter within a sumptuous palatial interior. 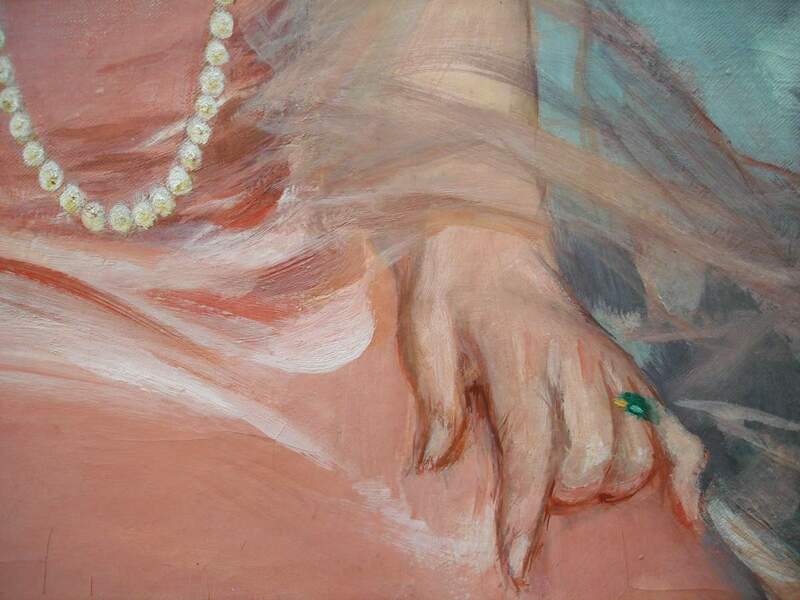 Instead, he depicted her in a fashionably understated pink gown and gauze wrap against a neutral background; her only jewellery comprises of three cascading strings of pearls and an emerald ring. The treatment of the portrait is thoroughly modern, showing the influence of such contemporary portrait painters as de Laszlo (and perhaps Jean-Gabriel Domergue). Quinn’s flowing lines and long, fluid brushstrokes emphasise the lightness and diaphanousness of the loose-fitting gown that came to define the new generation of women as opposed to their tightly-corseted forbears of the Edwardian era. 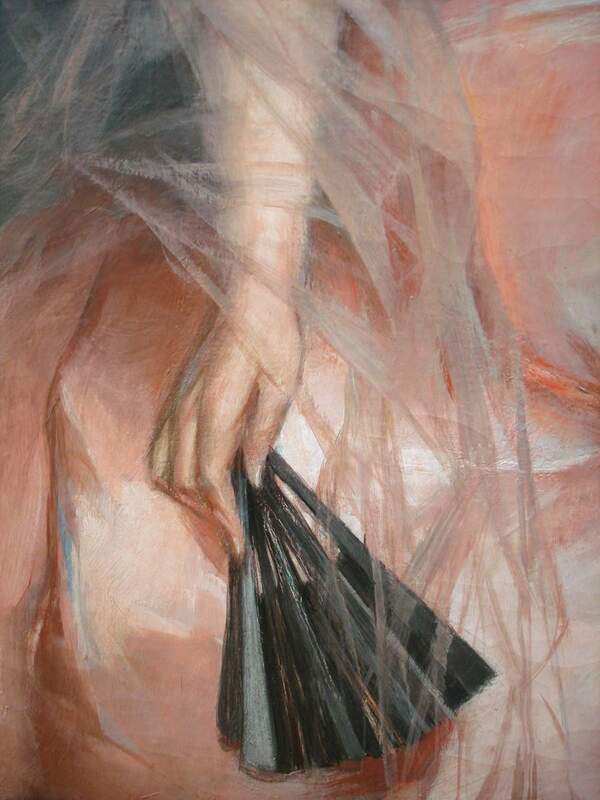 The painting is carried out in a harmonious palette of greys and pinks; the black of the Duchess’s hair and fan, as well as the vivid green of the emerald ring providing important counterpoints for the painting’s overall pastel gamut. 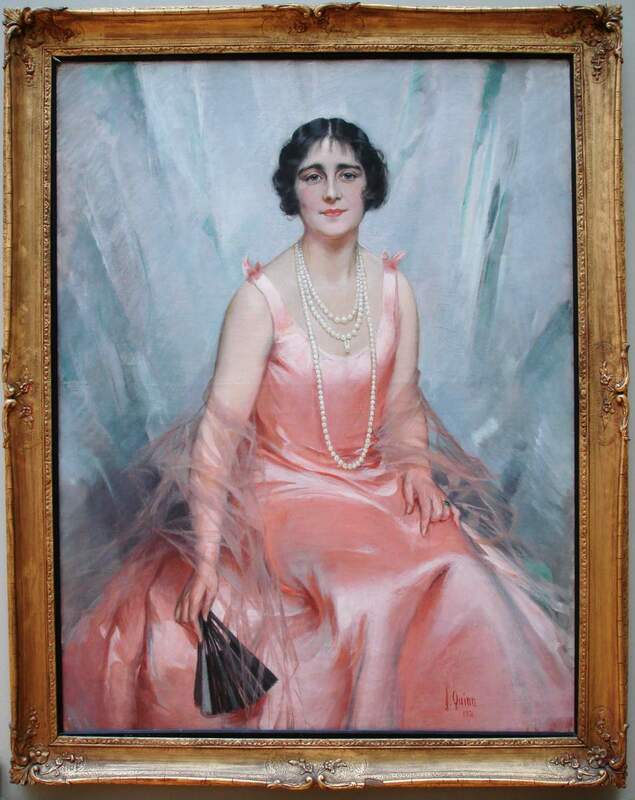 I am attracted to the portrait’s easy grace, natural elegance, and the sitter’s demeanour of knowing nobility; as well as, I guess, its certain rarity and uniqueness in the annals of Australian 20th Century portrait painting – or, at the very least, the presence of a painting like this on display in an Australian public collection.